Mid West Sports House has signed up to the Community Respect and Equality Agreement. The CRE Agreement enables workplaces and community organisations to stand together to say #violenceisNEVERok. It provides a framework and support for organisations to raise awareness of family violence, how it can be prevented, how to support staff experiencing violence and how to develop internal policies and procedures to embed these actions within the organisation. 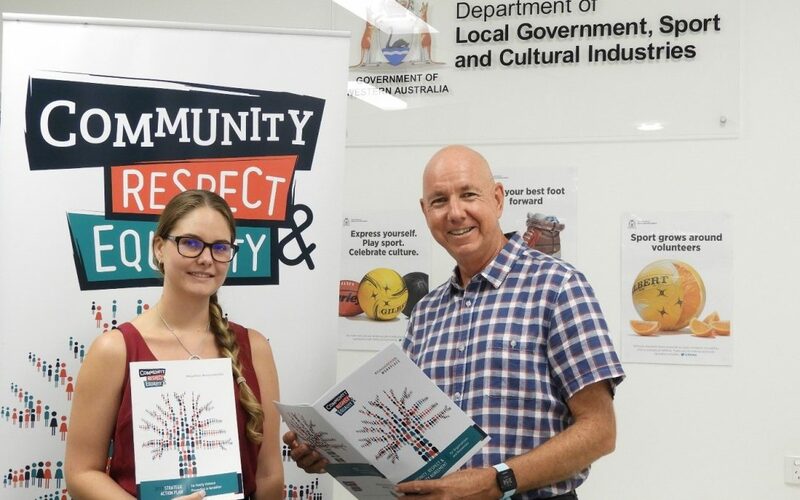 Led by Desert Blue Connect and a strong reference group of local organisations and agencies, the CRE Agreement is a key component of the CRE Strategic Action Plan to prevent family violence in Geraldton. The Mid West has one of the highest rates of family violence in WA. However, family violence is preventable, and everyone can play a part in making our community free from family violence. The sporting community can lead the way by implementing prevention initiatives. “Sport plays a key role in developing respectful relationships that ultimately decrease the incidence of family violence and support those who suffer from it,” says Richard Malacari, Regional Manager of the Department of Local Government, Sport and Cultural Industries, and the Manager of Mid West Sports House.